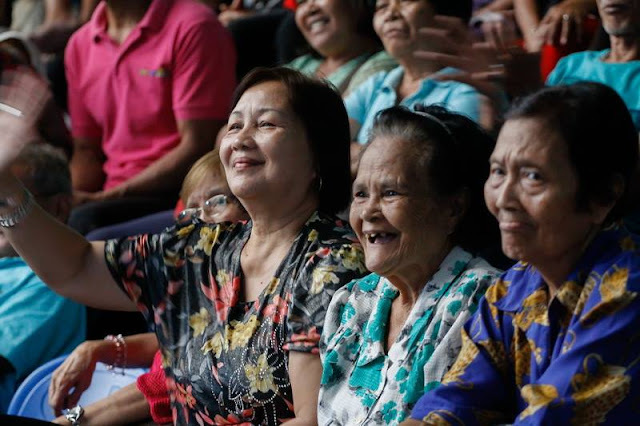 The Duterte administration has assured that there will be no change in the value-added tax (VAT) exemption for senior citizens and persons with disabilities (PWDs). Department of Finance (DoF) Undersecretary Karl Kendrick Chua announced the good news in a press briefing in Malacañan on Friday, January 27. “Ang good news po dito, ang senior citizen VAT exemption at sa PWD ay hindi tatanggalin pero ang gagawin po natin ay aayusin po natin ‘yung sistema. For example through a national ID para ‘yung leakage ay maiwasan, na ang benepisyo lang ay mapupunta sa tamang tao,” Chua said. Chua explained that the tax reform measures aim to decrease the poverty rate from 22 percent to 14 percent and make the Philippines a middle-income country by 2022. He said the tax reform is part of President Duterte’s 10-point socioeconomic agenda. “Nag-promise po siya ng tax reform, ng mas mababang buwis, pero nag-promise rin po siya ng walo pang other priorities na kailangan pondohan. At dahil dito, naisipan po namin na ayusin po ‘yung ating income and other tax system,” Chua said. “So ang gusto namin ay maging simpler, fairer, at more efficient ‘yung tax system para po ito ay tumulong po sa pag-unlad ng ating bansa,” he added. Chua said that while some sectors consider the tax reform measures as a burden, Filipinos should instead look at it as a package. “Hindi lang po dapat ‘yung oil lang, automobile lang. Dapat as a package po natin tingnan kasi ‘yung totoo po, for majority of Filipinos, ‘yung lowering of personal income tax ay makakadagdag po sa welfare or income nila,” Chua said. “At kung gamitin po natin itong mga tax revenues para sa mga mahihirap at dahil dito, in-earmark po namin ang revenues na makokolekta namin only to infrastructure, education, health and social protection. Sa tingin po namin ay walang dahilan kung bakit hindi natin masolusyunan ‘yung kahirapan at makita natin ‘yung Pilipinas na maging mas maunlad sa next generation,” he said. In the same press briefing, meanwhile, Presidential spokesperson Ernesto Abella conveyed President Rodrigo Roa Duterte’s message to the Filipino-Chinese community in its celebration of the Chinese New Year. “The government shares the joys and hopes of our Chinese friends and Chinese - Filipinos who have found a root and reason for staying in the country,” the President said in his Chinese New Year message. In his message, President Duterte underscored the role of the Filipino-Chinese community in the country, particularly its contribution to trade and investments as well as in culture. “The philosophy and attitude in life are a wellspring of practical lessons that all of us, regardless of nationality, can learn from,” Duterte said in his message. Presidential spokesperson Abella meanwhile noted the reopening of the Philippine-Malaysia barter trade on February 1. It will be recalled that the barter trade between Sabah, Malaysia and the island provinces of ARMM was shut down almost a year ago following kidnapping of Malaysians by terrorist group Abu Sayyaf. Abella said there are also plans to put up a consular office in Kota Kinabalu, Malaysia to attend to the needs of the Filipino - Muslims in the area.